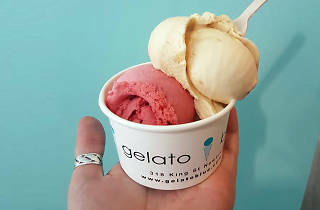 The great thing about gelato is that if you prefer fruit flavours to creamy ones you’re already choosing the vegan option – your lemon, passion fruit, mango and strawberry-raspberry options at this Newtown gelateria taste just like they would at any other ice cream shop. It’s in the chocolate/caramel/vanilla family of flavours that Gelato Blue are doing things differently. They are a fully plant-based gelateria so instead of cream they use coconut milk to achieve a pretty similar result. 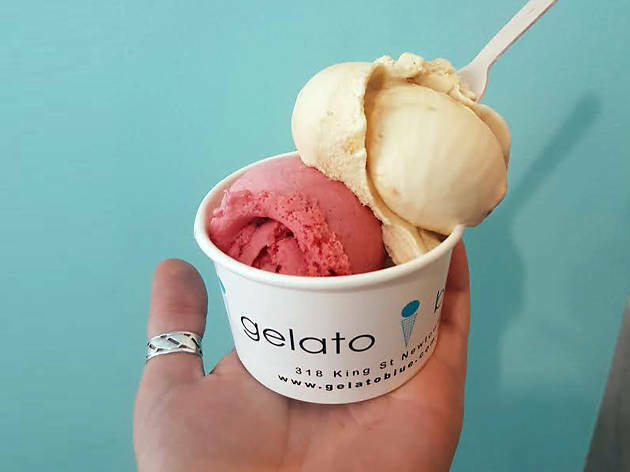 Happily the very subtle coconut flavour you get in the ice creams here complements, rather than clashes with, the sweet caramel flavours in the dulce de leche gelato, which is a little more icy than a dairy edition but just as refreshing on a sweltering day. Check out Time Out's guide to the best vegan restaurants in Sydney.